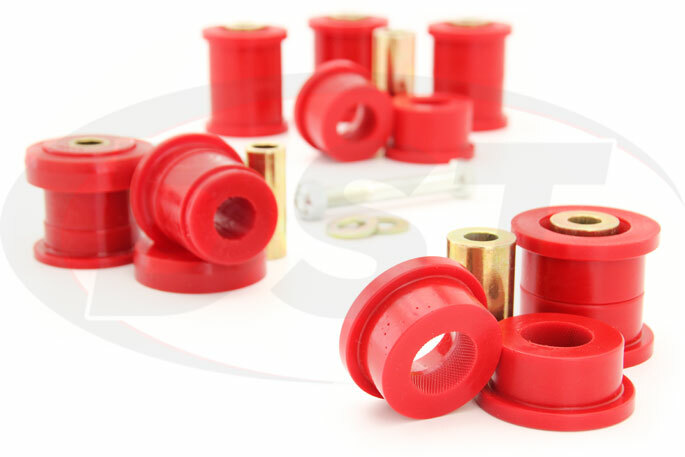 These Front Control Arm Bushings from Prothane replace the worn down or soft original rubber bushings that came standard on your 2007-2017 Jeep Wrangler JK, with more durable Polyurethane Bushings. 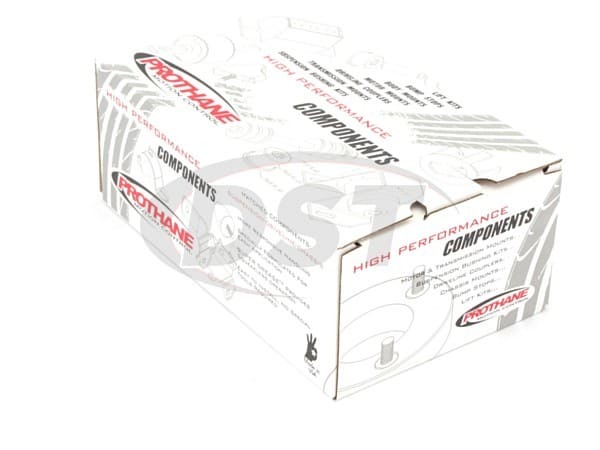 This will give your Jeep's front control arms a long-lasting, front alignment holding connection between the frame and knuckle, that will normalize tire wear and reduce sloppy steering. One thing is certain; Jeep's are made for being off-road. That means that your suspension is going to be put through a lot of punishment over the life of your Jeep. Whether you have constructed a rock crawling monster for weekend trails or your "daily commute" consists of several hundred acres of Stephenville, TX ranch, front end alignment is important for your steering and tire wear. 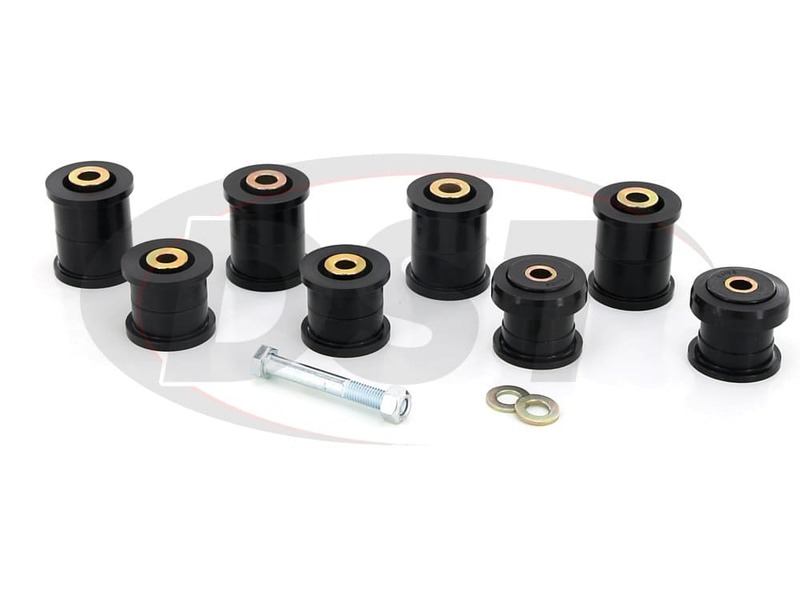 The front control arms hold the front wheels of your Jeep Wrangler JK in alignment, but the connection points are cushioned by soft, vulnerable rubber bushings. 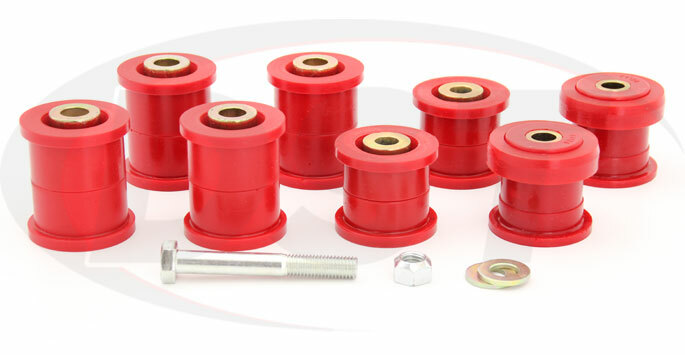 The original rubber bushings do provide a smooth ride but they also flex with suspension movement and allow the alignment of the front wheels to shift. As rubber ages the shape change that all this flexing causes will become permanent and, consequently, change the camber of your front tires. Camber is especially important for Jeep owners that like to put those expensive, knobby, mud-grabbing tires on your Jeep. 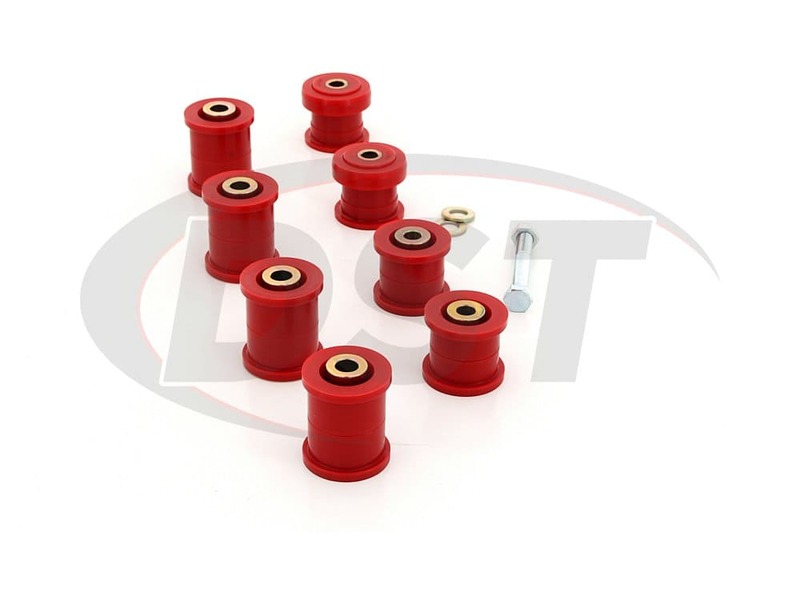 If your front control arms are being held by worn rubber bushings then the camber of your front wheels is likely off and those expensive tires are wearing down along the edge instead of evenly across the full contact patch. This means new tires are going to be on your Christmas wish list every year (and maybe your birthday list too). 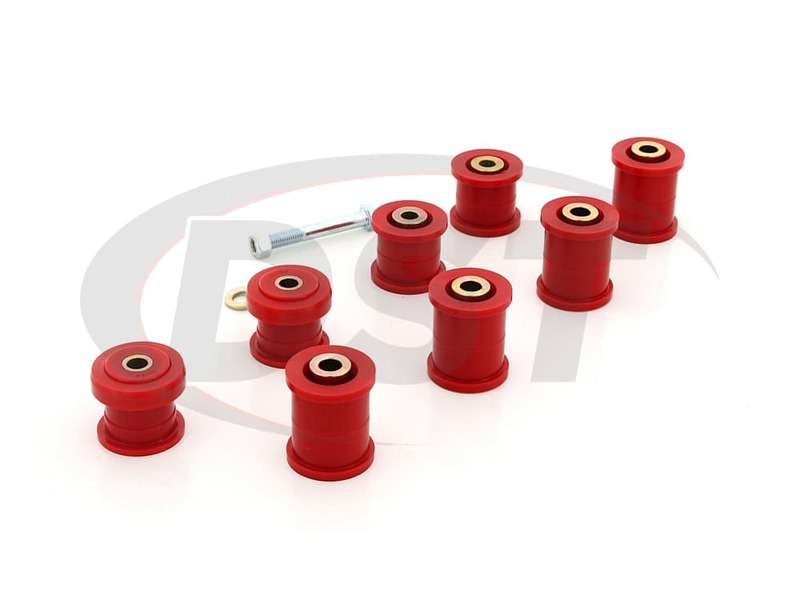 Besides the tire wear issue, sloppy steering is another side-effect of worn control arm bushings, but luckly there is a bushing out there that will not wear down and degrade like the original rubber bushings. 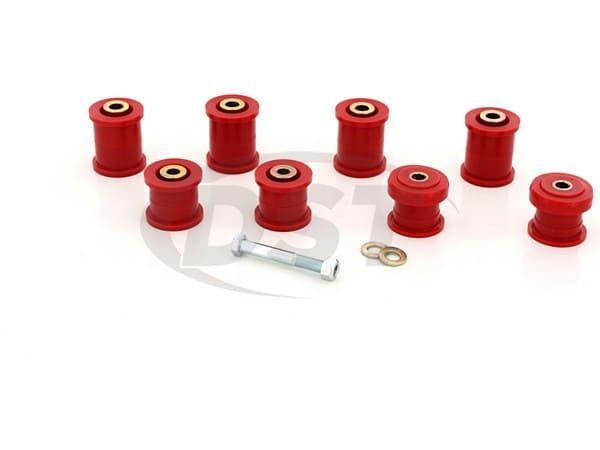 Prothane's Polyurethane Front Control Arm Bushings provide a stronger connection for your Jeep Wrangler's front control arms, resulting in sharper steering and even wear on the front tires. 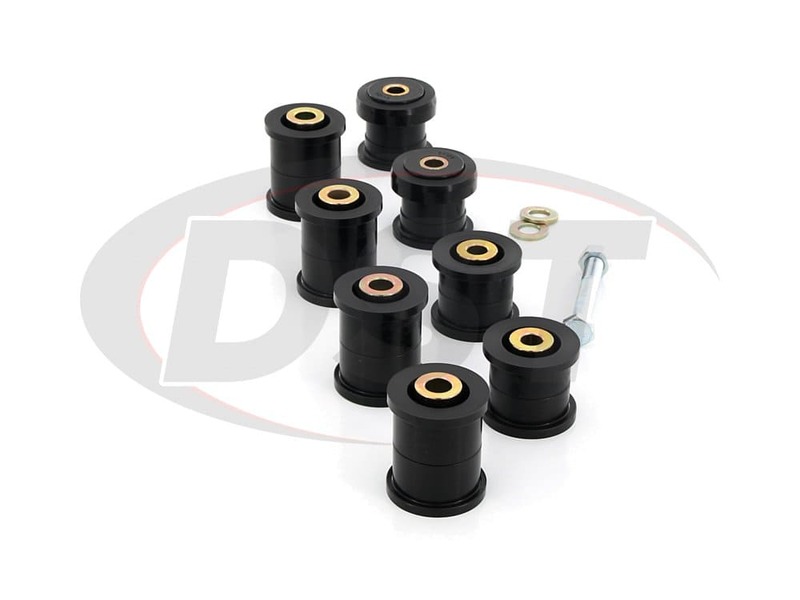 These bushings are totally unaffected by the elements that will eventually cause rubber to decompose right off of your Jeep and are under a lifetime warranty from Prothane, which DST will handle for you. One downside is that more road vibration will be transferred to the cabin through the strengthened control arms, but weighed against the advantages this is not a huge loss.